Butterflies have strong significance across many cultures, but the most common theme is rebirth and metamorphosis. 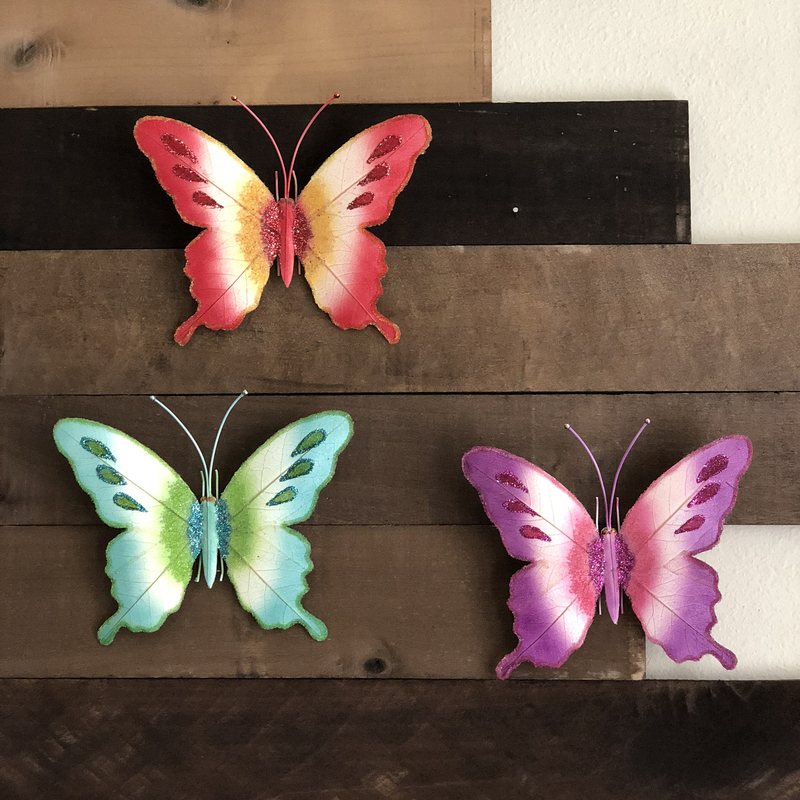 The incredible transformation that butterflies undergo as they turn from caterpillars to adult butterflies is something that has captured the attention of humanity for millennia. 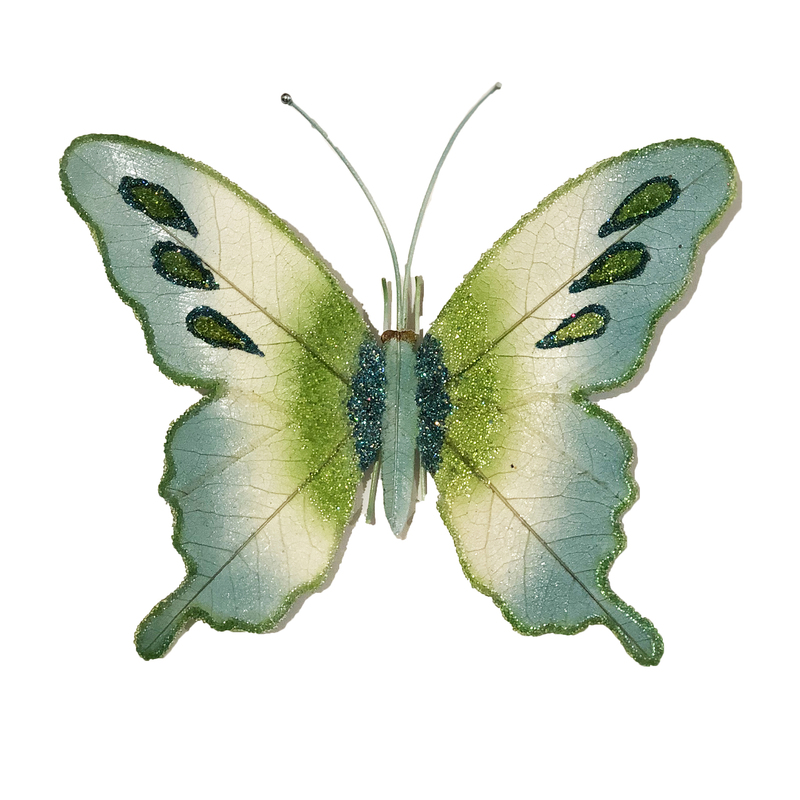 For this piece, the artist uses real fossilized cocoa leaves to capture the delicate structure of the butterfly wing. Bright colors with transitioning hues reflect the natural colors of these beautiful creatures.